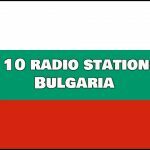 Listen online to the most popular radio stations in Bulgaria. Your internet radio. Choose your favorite online radio station and listen directly.